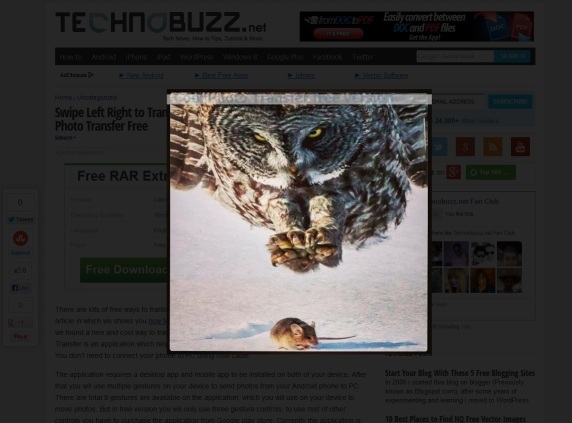 There are lots of free ways to transfer your mobile files to your desktop. Recently we covered a article in which we shows you how to move android files to PC without using any USB cable. 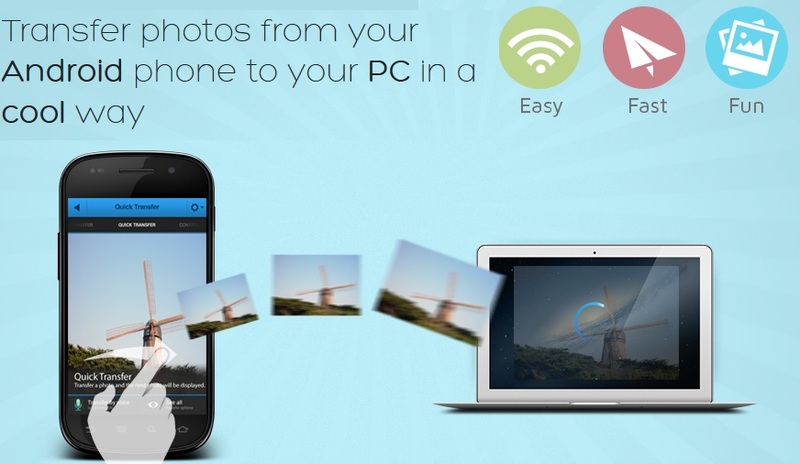 Today we found a new and cool way to transfer photos from mobile device to the desktop PC. 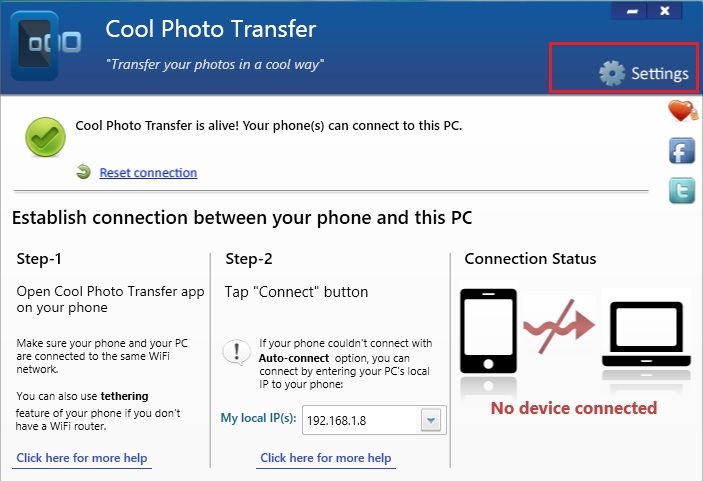 Cool Photo Transfer is an application which helps you to move you photos to desktop over a wireless network. You don’t need to connect your phone to PC using USB cable. The application requires a desktop app and mobile app to be installed on both of your device. 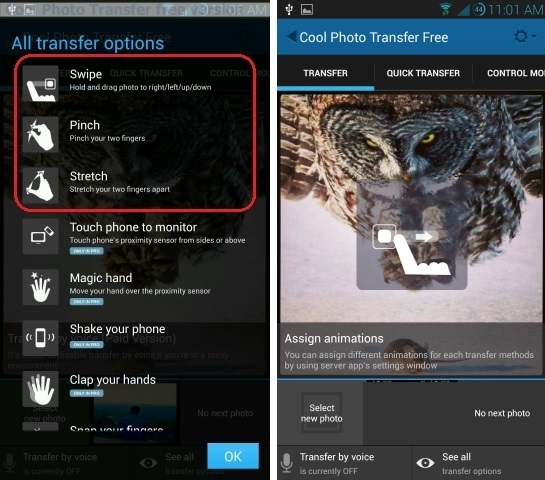 After that you will use multiple gestures on your device to send photos from your Android phone to PC. There are total 9 gestures are available on the application, which you will use on your device to move photos. But in free version you will only use three gesture controls, to use rest of other controls you have to purchase the application from Google play store. Currently the application is available for the android smartphone users, but very soon the application is available for the iPhone and Windows phone users. As we mention above to use this service you have to install Cool Photo Transfer application on your mobile device and desktop. Go to the website and install the application on both of your device, you will find the download link at the end of this post. Open the the desktop application and click on the Setting option and choose a folder save location under Photo Save Options. Now run the application on your mobile device to get started. On first screen of the application you will find two options to connect to PC: Auto Connect and Manual Connect. Tap on the Auto Connect option to connect your device with desktop over the WiFi Network. Once both the devices are connected, you can transfer photos. To transfer the photos you have to select the photo and swipe the current photo to left, right, up, or down, Pinch your two fingers, or stretch the photo. Doing any of those gestures will movie your selected photos to your desktop. You will find all your transferred photo on your Saved folder. From here you will edit them and move to other destination. The application is free to download, if you want to enjoy some other features of the application then you have surcharge the paid version of the application. In Pro version you will find some more cool option such as transfer photos by voice and more.